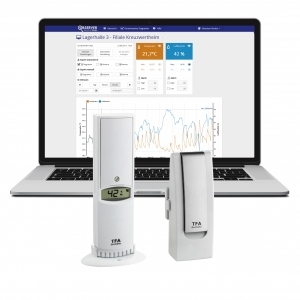 Use the WEATHERHUB "OBSERVER" web platform for professional temperature monitoring and documentation. The system is ideal for pharmacies, laboratories or other professional applications. 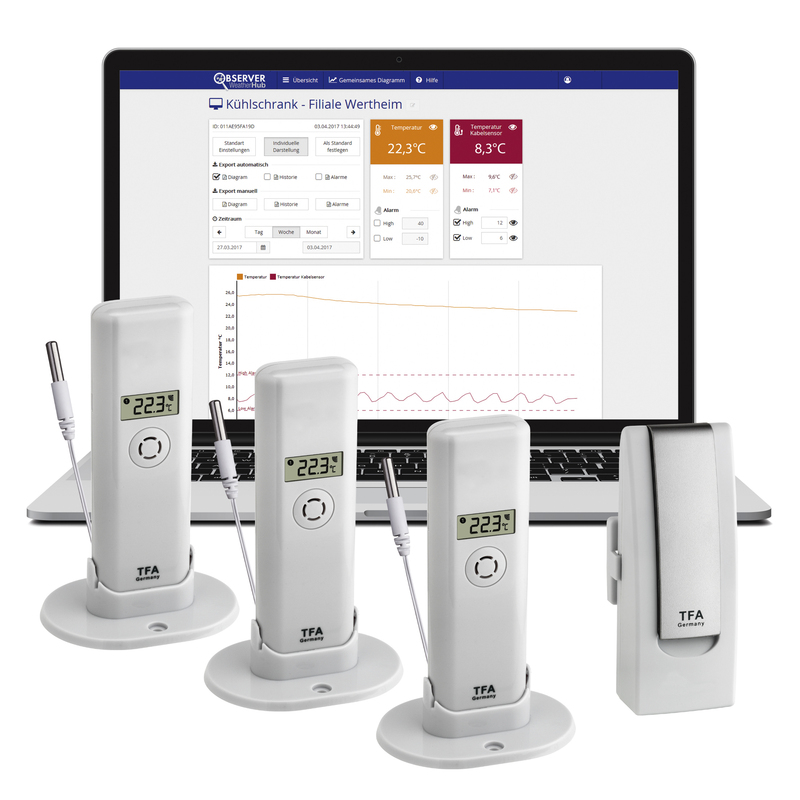 This starter set includes 3 professional temperature transmitters for measuring the ambient temperature indoors or outdoors. 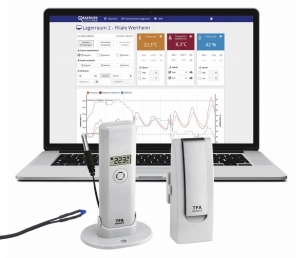 At the same time, the temperature can be monitored in cooling and air conditioning units or in liquids via integrated, waterproof cable sensors. 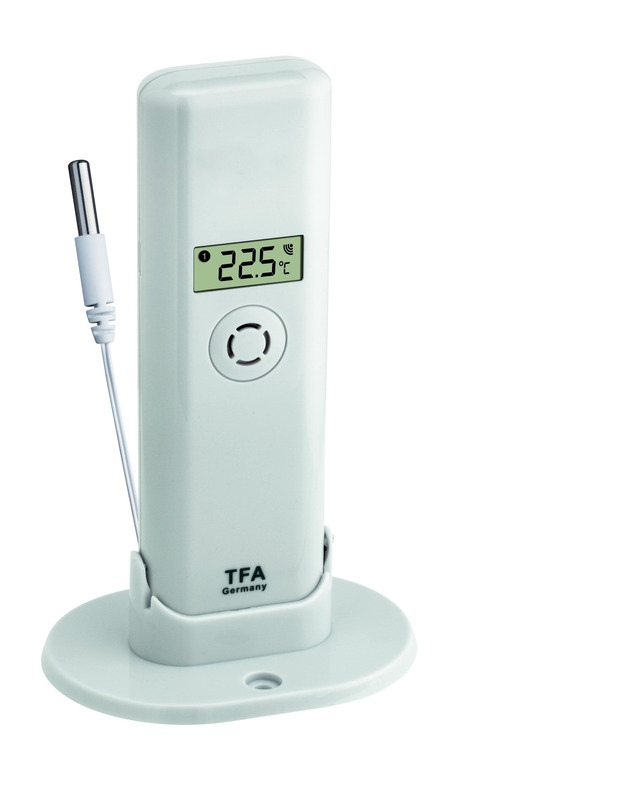 The wireless sensors transmit their measured values directly to a server via the gateway module and the Internet. All data remains available for at least 90 days. 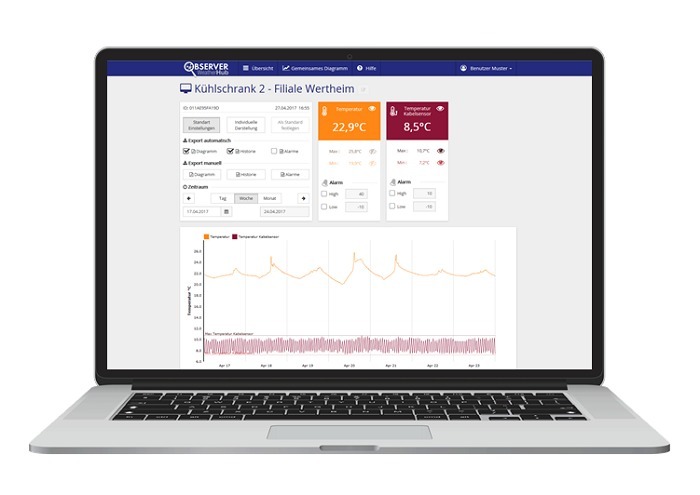 Via the WEATHERHUB "OBSERVER" platform www.wh-observer.de, the measured values can be retrieved any time and anywhere worldwide via PC, tablet or smartphone and numerous additional functions can be used. The values are displayed as a clear diagram that can be set to specific time intervals (day, week or month). The export of the data can be done graphically as a PDF or as a CSV file in text format. The export files can also be sent by e-mail. The monitoring can be automated and there are extensive possibilities to set alerts. The platform is free and requires no additional fee or subscription. 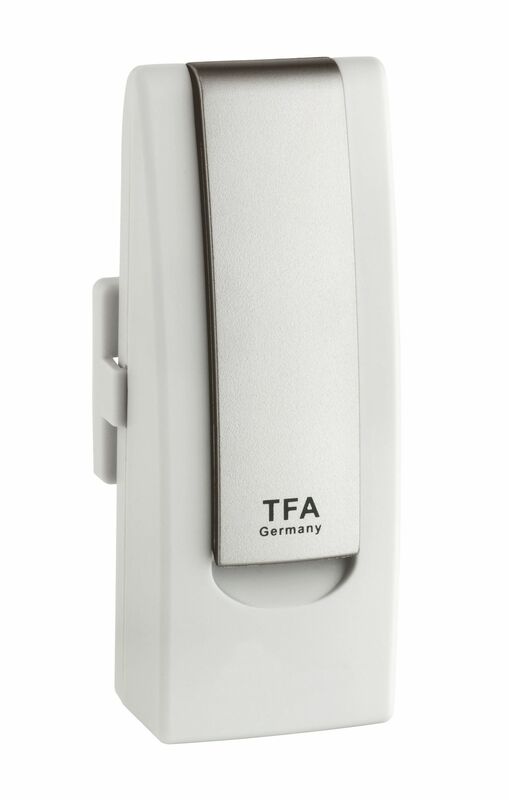 Up to 50 transmitters can be connected, including for monitoring humidity.